Special packages: Upon request to the kitesurf beach. Cambodia Kiteboarding has operated out of Villa Vedici riverside resort in Kampot for the past six years and is the only company in the Kingdom licensed by the International Kiteboarding Organisation. 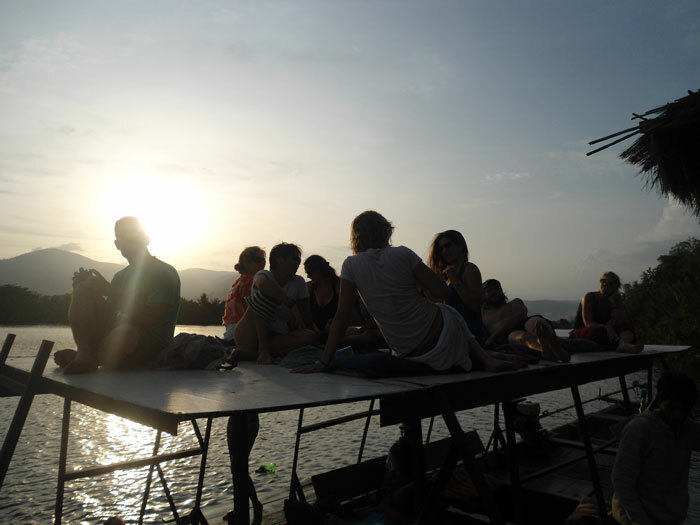 The windy seasons in Kampot run from June to September and November to January. Lessons are held on the Kampong Bay estuary, down river from Villa Vedici resort and offering stunning views of Bokor mountain. Villa Vedici has two double and 3 single kayaks available. 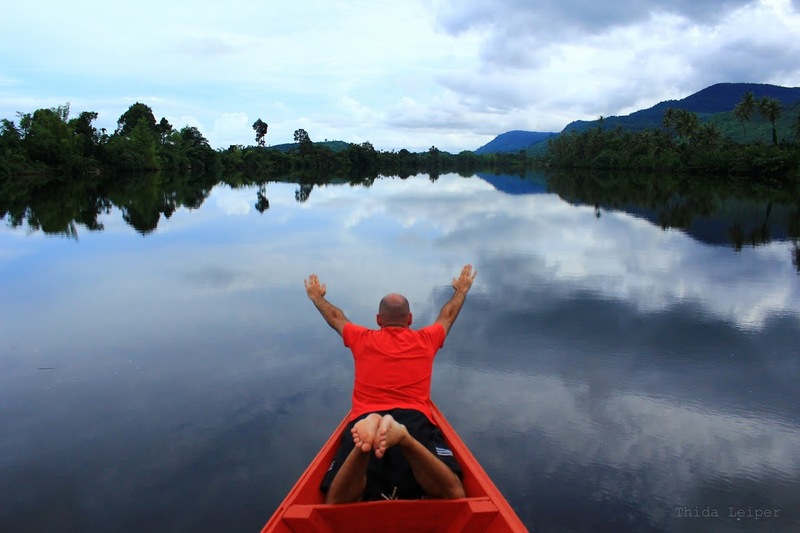 The Kampot river offers great kayak trips. One can go 8-10 km upstream on the main river, but there are also several special trips. Just about 500 meters upstream you can leave the main river and take your kayak towards the kampong kreng Temple. There are several small waterways and it is the easiest trip for those who don’t want to go very far. Approximately 3km upstream form Villa Vedici you can take a loop also off the main river. It takes about 45 minutes to take the loop before you return to the main river. The river in the loop is much narrower than the main river and is on both sides heavily grown with vines, palm and it gives you a feeling like you are part of the Old Apocalypse movie. The kayak trips guarantee you a great afternoon. Don’t forget your sunscreen. Description Starting at NAGA HOUSE, riding approx. 4-6 hours, off-road and single trails. Terrain is sandy, muddy, wet and rocky. We custom tailor tours to suit your ability and offer quality instruction to guide you through. Tour starts at 9 a.m. and finish around 2 p.m.
Costs USD $75 – 1 person USD $50 – 2 people or more Custom packages available. Groups, 1/2 day / full day or have your own bike. VELO VEDICI ADVENTURES – Discover Kampot by Bicycle! Include lunch and BBQ with soft drinks, beers or wine at the beach or the Vedici garden. You could even stay overnight in tents on a remote beach with a bonfire. Unique to Villa Vedici is our powerful 200hp speedboat. The boat is used for a range of activities such as wakeboarding kneeboarding and waterskiing. Many have experienced the thrill of wake boarding and waterskiing for the very first time with us. We have very calm water and a 200 meters wide range here on the Kampot river. This makes learning to ski and wakeboard easier than anywhere else. 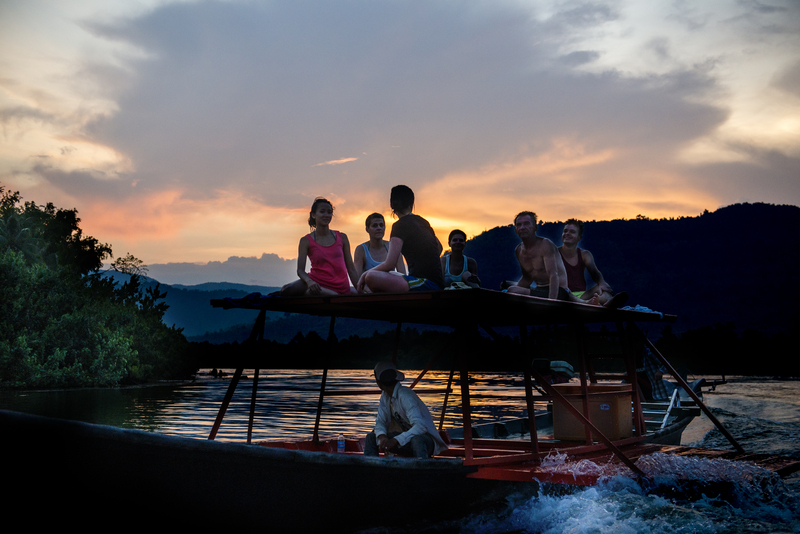 Up to eight people can go into the boat, some can just enjoy the ride and watch their friends enjoy. Guaranteed 100% fun! Including wetsuit and all equipment. If you just want to enjoy the speedboat, we can turn it into a (private) speedboat cruise for you. 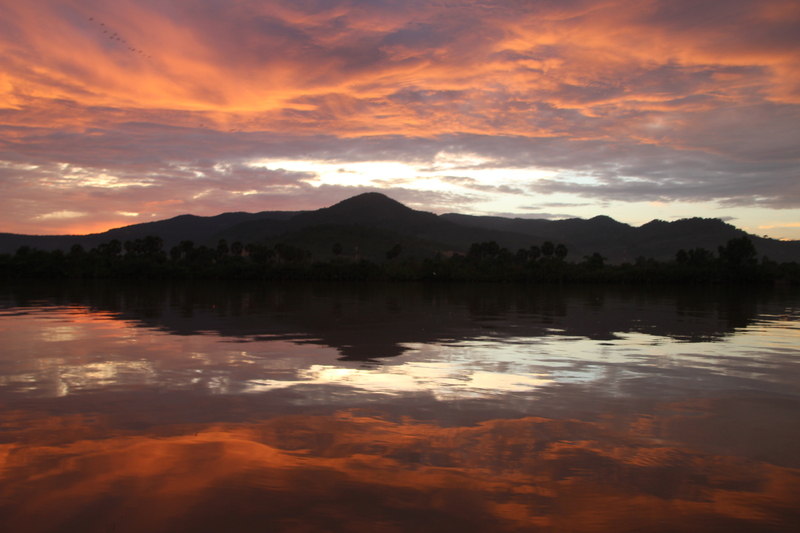 Kampot River is an ideal location for stand up paddleboarding, SUP. The lazy river winds for 14 kilometers through pristine natural forests, beside fishing villages, and lush mangroves to the sea. Villa Vedici is located in the middle of the river. Great quality gear is provided by for only $7.50 per hour.